Double Cone Vacuum Dryer operates under the principle of controlled and uniform drying under vacuum at low temperatures. 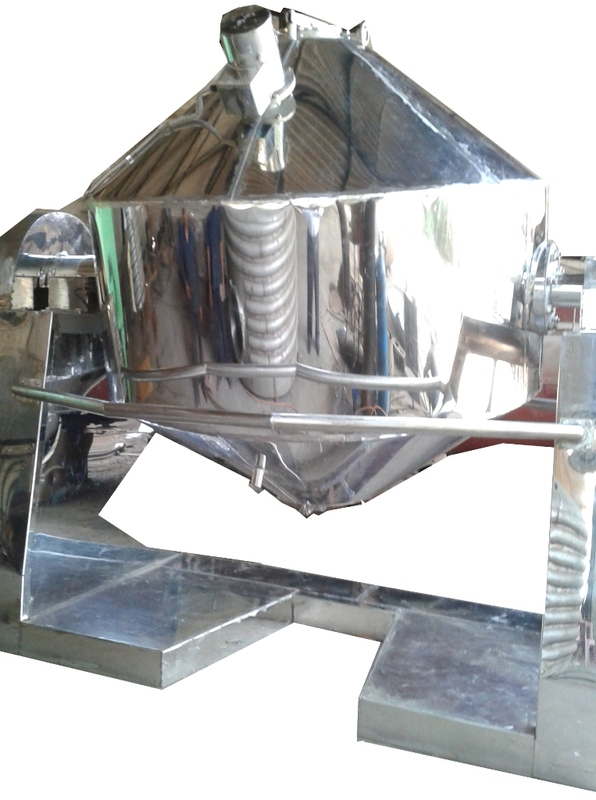 • Is suited best for drying of free flowing non-sticky wet powder or crystals. • Drying time much faster than that of conventional Tray Dryer – Saves production time. • Uniform drying under controlled atmosphere at low temperature–Good product quality free of oxides and dust with recovery of solvent. • Less manpower required – Low drying cost. • Perfectly designed drive system - Saves power while drying. • Balanced movement - No foundation required. • Motorized Lump Breaker can be provided.